Our RecipePersonal and professional success can come in many delicious varieties. But you've not made it until you've made a fresh Papa Murphy's pizza. Our franchise owner/operators entrepreneurs just like you have made us the world's largest, fastest growing Take 'N' Bake pizza franchise and America's best pizza chain seven years in a row. * So if you're interested in joining a franchise family that's really going places, Papa Murphy's is the opportunity for you. 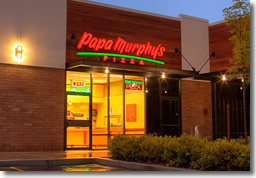 Because Papa Murphy's stores do not require commercial ovens, dining room seating and other expensive equipment, your initial construction costs and operating expenses are less than they would be with a quick service restaurant and other comparable franchises. No previous restaurant or franchise experience is required to open your first Papa Murphy's store in an established market. From helping you select your site and open your store to offering you a comprehensive training program and providing marketing materials created with your success in mind, our corporate staff supports franchise owners from day one. 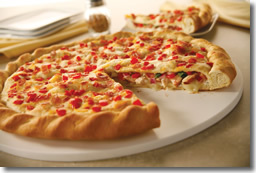 Papa Murphy's is more than 1,800 locations strong and currently extending our franchise family inArizona, Arkansas, California, Florida, Kentucky, Michigan, Missouri, Nevada, North Carolina, Ohio, Oklahoma, Texas and more!To learn more about the Papa Murphy's franchise program, please complete the form below. 2007 Papa Murphy's International, Inc. All Rights Reserved. Please note this franchise is currently not accepting inquires from outside the United States. Interested parties should have at least $250k net worth with $80k liquid.